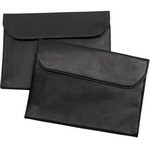 There is nothing richer and more impressive than a fine leather. 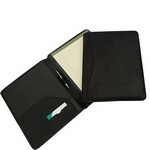 Travel in first-class style with luxurious leather padfolios. 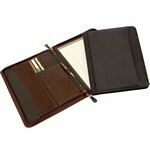 Our custom leather padfolios and leather pad holders are perfect for the office or the road. All of our custom leather padfolios can be decorated with your logo or personalized with your recipients monogrammed intials or full name. 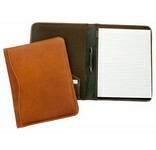 Our custom leather planners, custom leather padfolios and custom leather document holders are stylish enough for the executive suite, but still rugged and playful enough for the weekend.